Once upon a time if you wanted to sit down and relax with foods from around the globe that would tempt your palate, your first thought would be to head off to Epcot. While that is still a thought to be had, another park has really supplanted Epcot as food theme park royalty. Disney’s Animal Kingdom offers a wide-array of dining options and environments in which to dine. If you’re looking for a relaxing, yet luxurious place to get some wonderful food and drinks, however, the only place to visit in the park Nomad Lounge. This oasis on the boundary between Discovery Island and Pandora has been open for just under two years, but regularly tweaks its menu to meet the demands of guests and its ability to source fresh ingredients. While this is a product of being attached to Tiffins, a signature dining experience if I’ve ever seen one, it definitely brings its own atmosphere to the party. Some of the staple items at Nomad Lounge are well worth the trek to its doors where there is an overstuffed lounge chair just waiting for you. I’ve never been one to sneer at a good cheese and charcuterie plate, and Nomad Lounge does both excellently. You may typically find these two paired together, but the lounge here gives them both equal billing on the menu, which doubles the price by default, but they are both well worth it in my opinion. 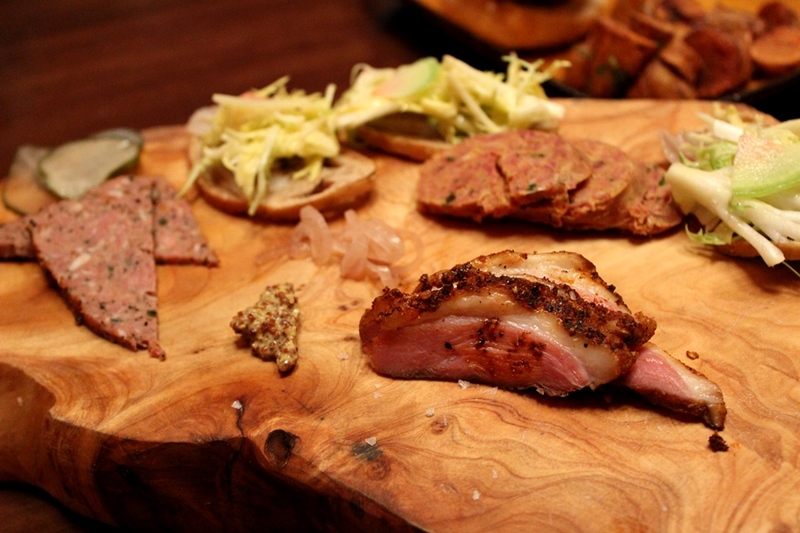 Each selection comes with 3-4 varieties of cured meats or cheeses and accompaniments. These little nibbles are known to include house-made pickles, marcona almonds, whole grain mustard, figs, and preserves, to name just a few. As these selections do change from time to time, I’m not going to go through each of these meats and cheeses line by line; instead I’ll let the pictures do the talking for me. 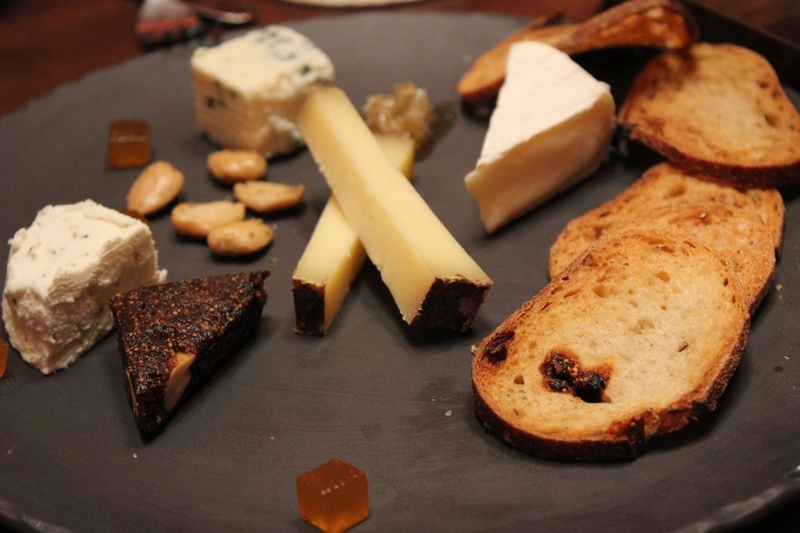 What I will say is that both are fun to share and run the gamut of their respective categories, from mild meats and soft goat cheeses to strongly smoked and hard cheeses, which means everyone is assured to find something that they like. Another longtime menu item at Nomad Lounge is the pork ribs. 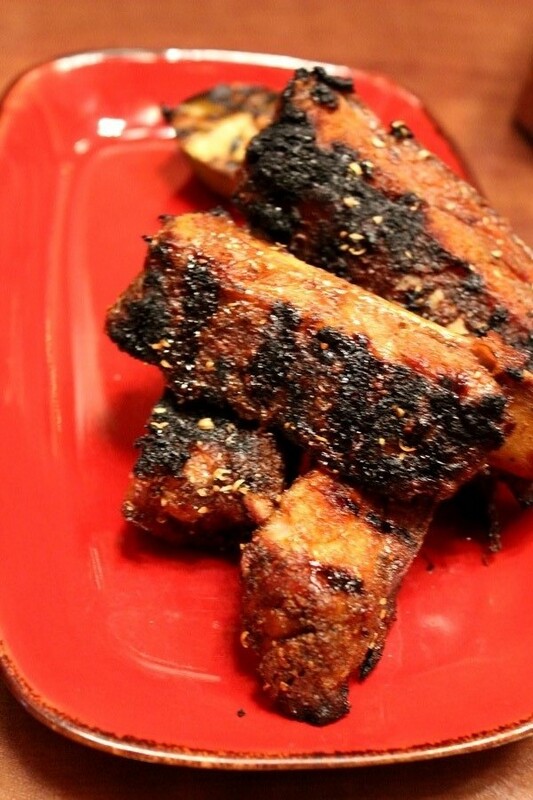 These ribs are listed as being honey –glazed and coriander-spiced. The sweetness of the honey and nuttiness of the coriander really highlight the natural flavors of the pork, which is prepared with just the perfect amount of charring. In terms of preparation it should also be noted that the ribs are slide off the bone tender. They may not be as high on my list as the ribs from Morimoto Asia, both for flavor and in terms of size, they are still some of the best ribs to be found in Walt Disney World. With the hustle and bustle of guests making their way to and from Pandora, Nomad Lounge is literally an oasis from the chaos taking place just off of its porch. Tales of travel and adventure line every corner of this lounge, whether you’re resting on the porch or enjoying the air conditioned interior, and the handcrafted food and cocktails are never something to overlook. The menu may continue to change, but there are always a few standards that never get old.